The idea is simple. My wife enjoys fresh flowers. I like my wife and thus want her to be able to enjoy fresh flowers. But I never think about flowers apart from anniversary’s, valentine’s day & her birthday. Surprise Flower Club solves this. The service will deliver flowers on a somewhat random basis to the specified receive. Would anyone else use a solution like this? Will they value it enough to pay me for it? What does a streamlined process look like? 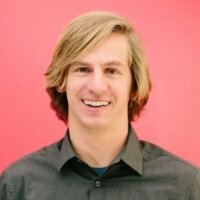 What is my churn rate? What price point does it need to be at to be viable? How do people solve this now/ who are the incumbents? Would people only buy this as a gift or would people buy it for themselves? How do I handle logistics? What other products could be delivered this way? If I were starting this business the traditional way, answering those questions would be my first priority. One by one I would tackle them myself or bring on an expert to help. I don’t like traditional though. Before I worry about the rest though, I can tackle the first three. If the answer isn’t yes to all of those, the rest are moot – there is no opportunity. Let me stress that again. The only thing that matters at this point is figuring out if people are interested in this service enough to pay for it. Everything else is local optimization which I can worry about later. In order to answer the most core question – I”m going to start by getting a feel for the interest. 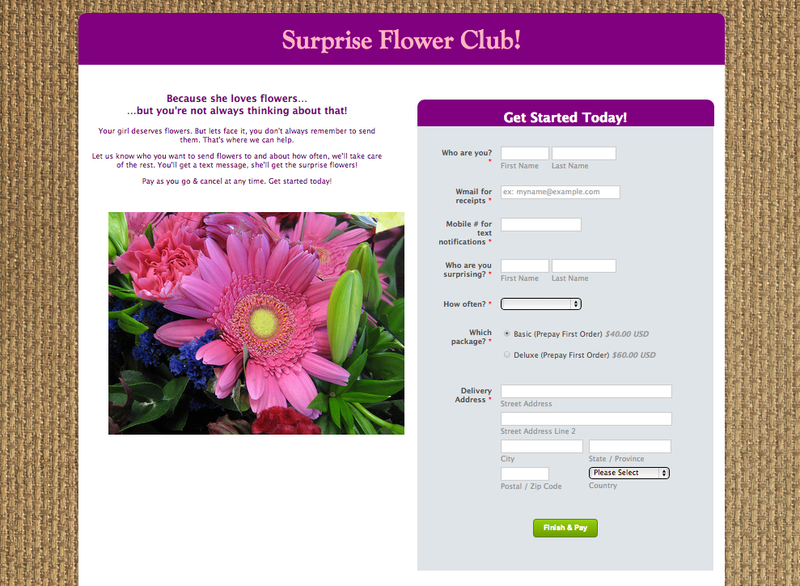 Now, you might ask what is going to happen to all of the people that fill out the form and buy flowers from me. I have a spreadsheet that I keep track of things in and I will manually call flower shops to have bouquets delivered. Yes, it will take a lot of time. Since I don’t have any deals pre-negotiated, I might lose money on a few orders. I’m perfectly ok with that – it is well worth it to spend a few hundred dollars to figure out if something is going to work or not. It is much easier than spending hundreds of hours trying to figure out all of those details first. If & once this manual process becomes so time consuming that I can no longer do it myself, then I’ve found a company. My first step after that will be to automate everything. Even if the tests come back negative, that might not indicate the whole things is a wash. Maybe the idea was right but the branding was wrong. Or maybe the shortcut I took by using PayPal to process payments hindered conversion. By closely looking at each step of the conversion process though, I can figure out if it is worth tweaking and taking a second pass before giving up. Sometimes a great idea is hidden just a few layers down if you listen to the data.